A brush hog mower is a type of rotary mower. It attaches to a tractor with a hitch. The mower has rotary blades that are thick and blunt for easy cutting through dense brush. Since the blades are heavy, no impact will stop them. Unfortunately, this means death for many farmers and farm workers. Tipping – The blades rotate at more than 150 mph and weight thousands of pounds. This causes the mower to become unstable, especially when turning. This causes the mower to tip over easily. Debris- The blades can send stones or additional debris flying, which can injury the driver. In many cases, this caused the driver to black out and fall off the brush hog. Then, an injury or fatality occurred. Crushing – The weight of the machine can pose a crushing risk to farmers when propped for repairs. Recently, an Arkansas man tragically lost his life in an accident involving a bush hog mower. Covered by tall grass, a large pothole was unseen by the man. When the mower went over it, he fell out. Without a failsafe stop, the machine ran the man over. Unfortunately, this story is not uncommon. Every year, bush hog mowers injure hundreds of farmers and farm workers. A single rock or leaning the wrong way can spell disaster. 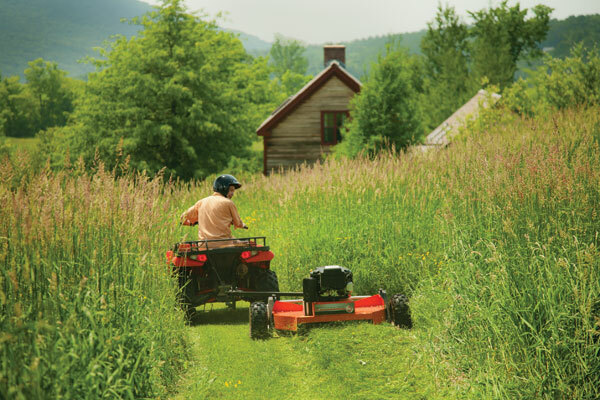 The National Agricultural Safety Database offers extensive mowing safety tips, including tips on how to prepare for the safe operation, prevent rollovers, avoid being caught in moving parts, and minimize a risk of hitching, striking obstacles and other common accidents that can occur during brush hog mower operation. It’s important to remember, however, that no matter how many safety precautions you take, brush hog mowers are highly dangerous, and when you’re injured by one, the manufacturer may be responsible. Manufacturers who design and distribute unsafe brush hog mowers should pay you for the losses you suffer due to using them. You deserve compensation. Contact The Farm Injury Resource Center today for your free, confidential consultation.